Please click on the icon if you’d like to show appreciation for the MMMM. I’ll get all of the gratitude, but 100% of what you donate will be given to Math for America. If I receive more than 100 contributions and surpass $1500 in total contributions, there will be a 2018 MMMM. The final contest puzzle of 2017 is now published – you can find it here. 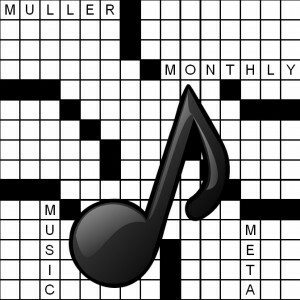 The meta for this puzzle is the mega-meta for 2017, a popular song from the ’70s. Enter your solution to the meta in the box below, where you can also rate the puzzle and/or leave a comment. The submission deadline is 11pm Sunday, December 31. Note: Because so many people have gotten the mega-meta, there’s an extra two-point bonus available this month. Three words in the grid that do not have starred clues are related to the mega-meta. Submit them along with the mega-meta answer to earn the bonus. If you’ve already solved the mega-meta, you just need to submit the three bonus words. The 2017 contest once again features a mega-meta, hidden in the 12 monthly puzzles. Similar to last year, puzzle clues marked with (***) indicate a connection to the mega-meta. It’s up to you to figure out what’s going on. You can enter your solution to the mega-meta in the box at the right at any time during the year, and the scoring is the same as last year: The earlier you solve the mega-meta, the more bonus points you get. Full details can be found in the Contest Rules. Because the reward is so large for getting the mega-meta before the final puzzle, there may be some tricks designed to throw solvers off the track. Consider yourself warned. Click here (SPOILER ALERT) for the write-up on last year’s mega-meta (and here for the 2015 mega-meta).